One thing that makes Living Sacrifice Ministries such a wonderful gift and honor, is that the Lord has given me stewardship of a ministry that reaches all corners of the world. I received this appeal from a dear brother in India yesterday who, as a most godly saint of the true Church, has given sacrificially with his wife at his side, to bring the truth of the Gospel to many in need in India. The target for the current project is the children in many villages. Please read bellow, the letter sent by Rev. Dass, and stand with me in prayer for this ministry that God will guide you to know if it is His will that you join in partnering to help with the great financial need our friends at Bethel are facing. They can be reached at bethelelg@gmail.com and at http://2mites.com or on Facebook athttps://www.facebook.com/bethelindia. Rev. 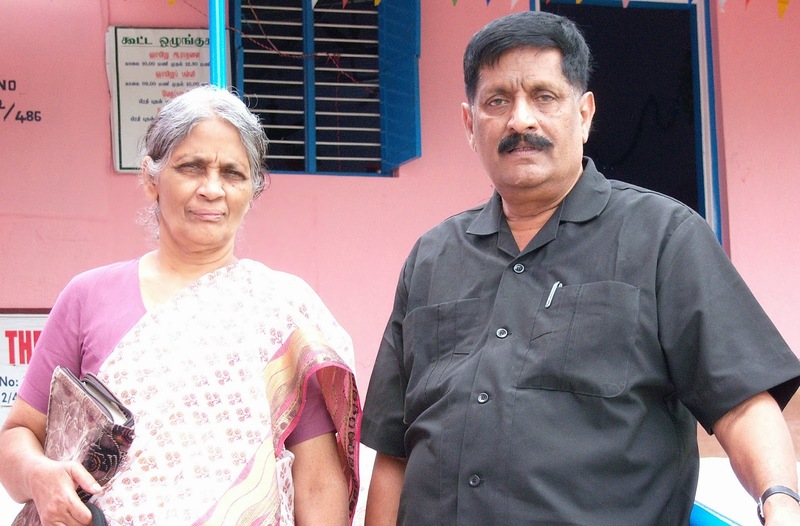 Arvind Dass and his wife Molly look forward to hearing from anyone interested in the ministry. The Month of May- 2014 is hardly 4 weeks away. I have to decide, and provide for all the needs of This camp. All our 30 associate churches will be very seriously involved in preparing the place and getting 150 to 300 kids in each Camp-church centre. In some places schools and hindu temples are used. These are all hard work and providence. FIVE, full day classes will be conducted in each centers. Study materials, furniture(rent) Drinking water, Snacks, Specially trained Teams from Organizations, lunch, volunteer teacher, transport, prizes.etc will cost 5$/per kid. for five full days as a Over all expense. -4000 kids therefore need 20,000$ Move the hands of god with us. “Don’t stop, hinder (or) block the kids coming to me” He said! Kids smoke, drink, use drugs, spoiled with moral degradation,wild, disobedient, criminals and much much more! It’s Our Moral and Spiritual Obligation to bring them to the knowledge and presence of the living Savior. Please! pray and Help us to reach as many kids as possible! May His name be Glorified.